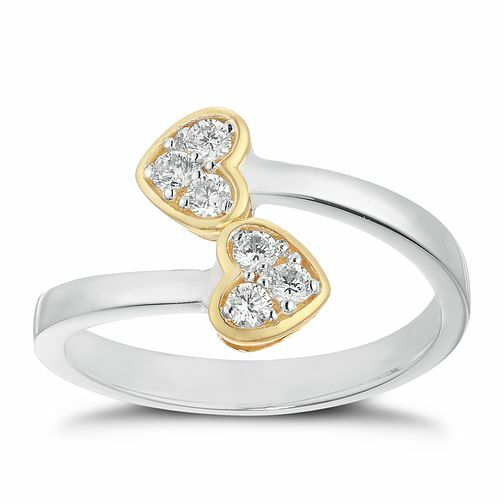 In a round design, add feminine charm to any look with this delightful 9ct yellow gold and silver heart ring. Crafted in a sumptuous yellow gold plating, the intricate design truly makes this an understated yet fashionable piece. This ring is the perfect accessory to wear alone or as part of a stacking style for a fashion forward look.